Foursquare is a technology company that enriches consumer experiences and informs business decisions through location intelligence. Every month, 50 million people use the Foursquare City Guide and Foursquare Swarm apps and websites to discover new places, explore the world and check in. Our community has written 87 million tips and checked in 10 billion times. Foursquare powers location data for Apple, Uber, Twitter and 100,000 other developers. 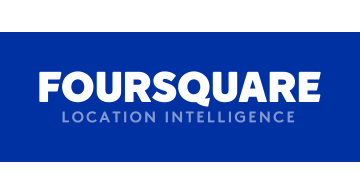 Foursquare’s business solutions also include Pinpoint, Attribution and Place Insights, allowing brands to understand and connect to targeted audiences as well as measure foot traffic and advertising success.